How was the fraud discovered? After initially denying the allegations, Relotius finally confessed at the end of last week. It has emerged that he invented entire passages — not only in the article “Jaegers border,” but also in a number of other articles. Which articles are in question and how many were there? Relotius first wrote for DER SPIEGEL as a freelancer, but he was employed as an editor for the past year and a half. Since 2011, just under 60 of his articles were published in DER SPIEGEL magazine or on SPIEGEL ONLINE. By his own admission, there are at least 14 articles in question that are at least in part fabrications. Is he to be believed? Could that figure actually be considerably higher? The only thing that can be stated with certainty right now is that the work in uncovering that has only just begun. “The last witness,” about an American who allegedly travels to an execution as a witness. The “Lion Children,” about two Iraqi children who have been kidnapped and re-educated by the Islamic State. And “Number 440,” a story about alleged prisoners at Guantanamo. Have other media organizations also been affected? That cannot be ruled out at this point in time. Relotius also worked for other media organizations in Germany and abroad. During his time as a freelance journalist, his work got published by other media including Cicero, the Neue Zürcher Zeitung am Sonntag, the Financial Times Deutschland, Die Tageszeitung, Die Welt, Süddeutsche Zeitung Magazin, Weltwoche, Zeit Online and the Frankfurter Allgemeine Sonntagszeitung. What steps is DER SPIEGEL taking in response? Until the allegations have been sufficiently clarified, articles available online that have been written by Relotius will be left unaltered in the archive, but with a notification about this development, until the matter has been sufficiently investigated — in part to help facilitate transparent research into the issue. 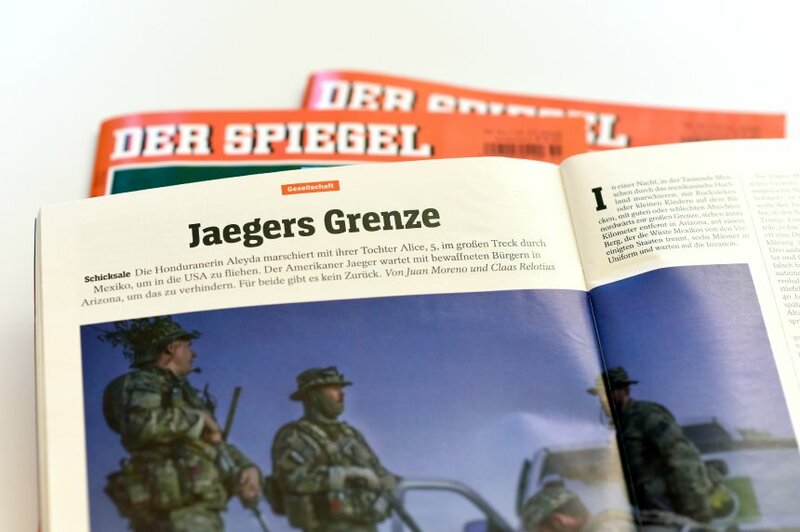 If you have any relevant tips or information, please email us at hinweise@spiegel.de. The management of DER SPIEGEL will set up a commission of experienced internal and external persons to investigate the indications of falsification. DER SPIEGEL will also report publicly on their findings and recommendations for improving safety mechanisms. Amazing. In this modern age of technology we are getting more fake news than ever before.